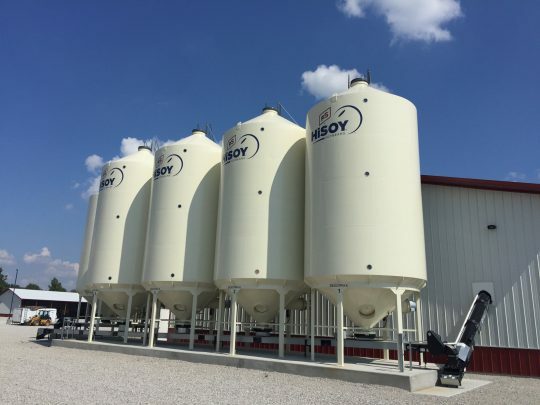 This fully-equipped seed treatment facility, completed in August 2017, was designed, planned and constructed by the building professionals at FS Construction Services for their client, Gateway FS. 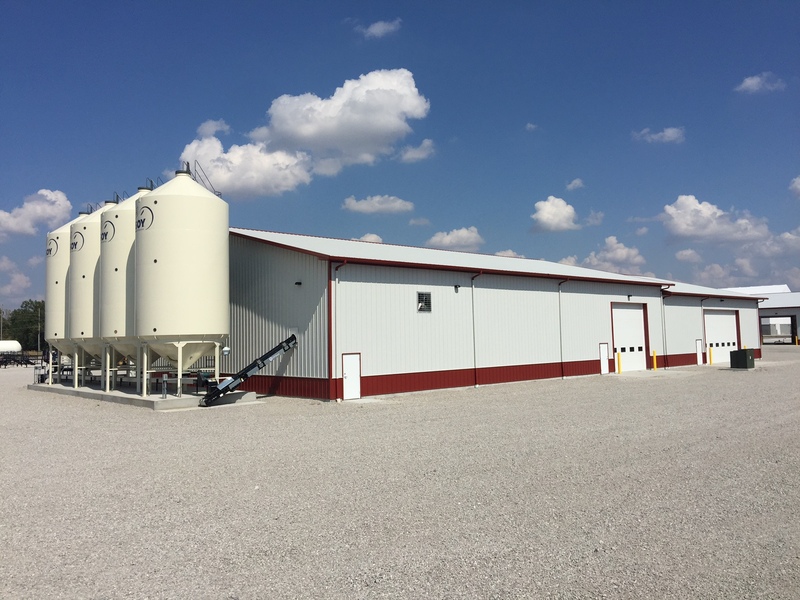 This spacious building includes multiple overhead drive-through doors that allow for easy worry-free loading and unloading regardless of the weather. The purpose of the structure was to allow the client to provide seed treatment capabilities unlike any other facility in the area. With eight 3,000-unit bins, a Tri-Flo Batch Hopper that can treat 2,000 lbs. 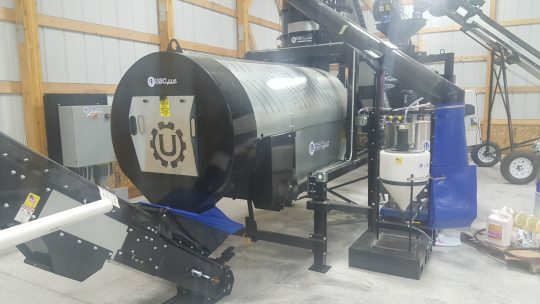 a minute, and a LPV seed treater, this facility is able to meet farmers’ exact treatment specifications. Not only did FS Construction Services install all this new equipment, they provided on-site training to ensure the client knew exactly how to master their new tools.